We were pleased to ‘hit send’ on our first newsletter today! Now that we have received planning permission and are in the construction phase of the East Street Mews project, we will be providing regular updates on build progress, the team involved in the project, and the other aims of the those who will benefit from the accommodation when it is built. Over 100 people have already completed around 2250 hours of pro bono work, with everyone involved using their professional skills to work together and create this crucial housing for Bristol’s young people. To follow our journey & receive your copy, sign up HERE. If you have a suggestion or would like to see something specific included, email us on info@eaststreetmews.co.uk. 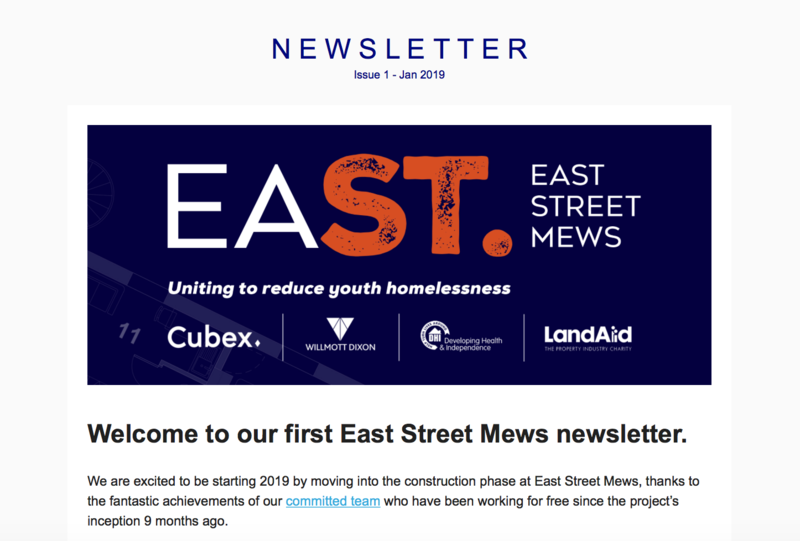 You can also follow us on Twitter, Instagram and Linkedin @eaststreetmews. ← Planning permission granted at East Street Mews!